To create natural light and no “Disco Light” is now easy to achieve for a variety of biotopes. The device opens new possibilities, as light is the central point in aquarium illumination. For the illumination of the SolarStinger®Series, brilliant colors and healthy coral, as well as plant growth can be guaranteed. 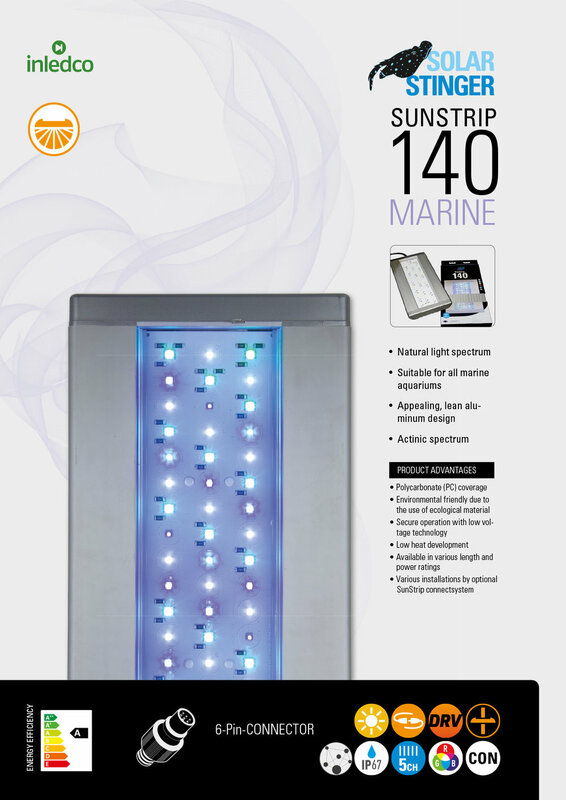 For the “Marine” Series we guarantee an actinic full spectrum, this is our philosophy for over eight years. For the SolarRaptor® LED series, it is offered with the UVA illumination which is vital for reptiles, as a separate LED channel. This indicates that the role of the filter technique plays a minor role. Because where plants and corals grow, less algae is produced. Healthy plants otherwise ensure a good filtration and the degradation of pollutants, as well as an excellent supply of oxygen, so Stefan Immke Development Manager at INLEDCO GmbH, Cologne.